She was sworn in by Finance Secretary and LANDBANK Chairman Carlos Dominguez during a special board meeting at the LANDBANK Plaza in Malate, Manila. Borromeo rejoined LANDBANK as its second woman President on March 1 which incidentally starts the celebration of Women’s Month. She is also the second in career position to take the reins of LANDBANK. Borromeo was officer-in-charge of LANDBANK from August 1 to November 10, 2016, prior to her appointment as President of DBP in January 2017. She had been with LANDBANK for 27 years, handling various posts including as head of the Bank’s Agricultural and Development Lending Sector. She has extensive experience in Treasury and Investment, Corporate Banking, Global Banking, Wholesale Banking, Public Sector Lending, and Lending Program Management. 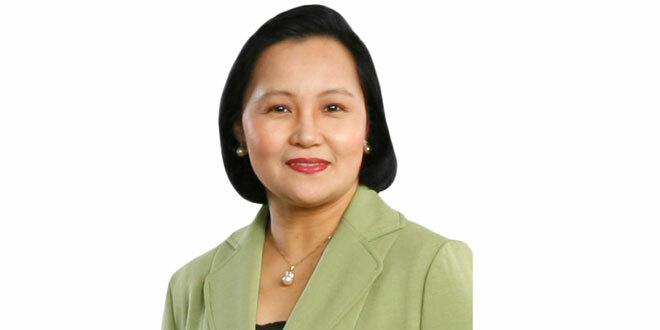 She completed her Bachelor of Science degree in Agribusiness at the University of the Philippines Los Baños and her Master’s degree in Business Administration at the De La Salle Business School. She also completed an Advanced Bank Management Course at the Asian Institute of Management and is a Career Executive Officer VI. She replaces Alex V. Buenaventura who served as LANDBANK President since November 11, 2016.